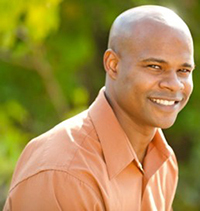 Dr. John W. Phelts has been a licensed chiropractor since 2003. Dr. Phelts specializes in the treatment of conditions of the neck, shoulder, low back, hip, thigh, knee, elbow and Carpal Tunnel Syndrome. He has successfully completed the post-graduate Certified Chiropractic Sports Physician course at New York Chiropractic College, and has extensive training in the treatment and rehabilitation of these disorders. He is certified in Professional Applied Kinesiology by the international college of applied kinesiology. His treatment methods do not involove drugs or surgery. As a chiropractor, he uses a "whole person approach" when taking care of his patients. He does this by integrating chiropractic treatment, applied kinesiology, and nutritional counseling. Dr. Phelts is able to help you to accelerate and/or maintain your journey to good health. His goal is always to restore your health to pre-injury status or better.